"Certified Indoor Environmental provides professional mold inspections, remediation, water mitigation and mold & IAQ testing services in single-family homes, multifamily dwellings and commercial properties in Portland, Salem, Eugene and Vancouver WA. Our Inspectors are trained and accredited for mold inspections, testing and remediation. 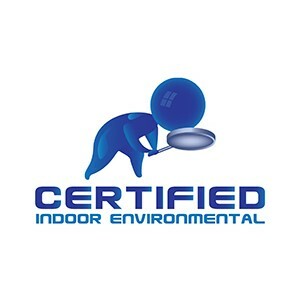 Certified Indoor Environmental will identify the source of moisture attributed to the mold, provide a detailed scope of work correcting the source of moisture to prevent the recurrence of mold and provide a complete estimate for your review. With our non-destructive method of remediation, most often there is minimal disruption to your home routine or downtime for your business. We will never paint over (encapsulate) the mold - we remove it! Ever wonder about your indoor air quality (IAQ)? In a single day, our trained field personnel will collect air samples, submit your data to an exclusive web-based App, where it will be analyzed against published international standards, reviewed by a scientist and approved for release to you our customer."